Thanksgiving is next week…it is a time for being thankful for those we love…but sometimes, because of a lack of communication, there can be misunderstanding and unhappiness. Opportunity for discussion about the importance of communicating how we are feeling and what we want and need. I love Polly Dunbar’s books! 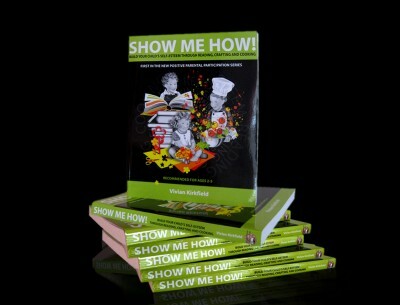 One of her other books, Flyaway Katie, and a related craft project and cooking activity appear in my book, Show Me How! Build Your Child’s Self-Esteem Through Reading, Crafting and Cooking. What an amazing holiday gift that would make for any parent or teacher of young children! It’s chockful of quick and easy craft and cooking and reading activities and it’s available on Amazon. I want to share the SPECIAL SALE that started today – it’s a Pre-Black Friday EXTRAVAGANZA! YOU CAN BUY A BRAND-NEW COPY OF MY BOOK FOR ONLY $10! CAN YOU BELIEVE THAT? OTHER SELLERS ARE OFFERING USED COPIES FOR OVER $100. THIS IS A ONCE-IN-A-LIFETIME OPPORTUNITY – AT THE PERFECT TIME! GRAB YOUR HOLIDAY GIFT LIST AND CHECK OFF ALL THE PARENTS, TEACHERS, BABYSITTERS, DAY CARE PROVIDERS AND GRANDPARENTS OF CHILDREN AGES 2-8. ORDER NOW AND YOU’LL RECEIVE THE BOOKS IN PLENTY OF TIME FOR CHRISTMAS! HELP START THE NEW YEAR RIGHT WITH QUICK AND EASY FUN-FILLED SELF-ESTEEM BUILDING ACTIVITIES THAT THE WHOLE FAMILY WILL ENJOY! First 10 orders receive a handmade fabric bookmark. Next 25 receive a glossy cardstock bookmark. Please order before December 15 to lock in the price and guarantee delivery before Christmas. You will need: 1 small white paper plate, 1 piece of black construction paper, 1 small piece of orange construction paper and a bit of white, scissors, glue. Glue the paper plate on the piece of black construction paper. Cut around the black, leaving an inch or two of black extending from the plate. Use the excess black to cut a circle for the penguin’s head and eyes. Cut feet and beak from orange and glue in place. Cut 2 small circles from white for the eyes. Glue the smaller black circles on the white circles and the white circles onto the head. Glue the head to the penguin’s body. 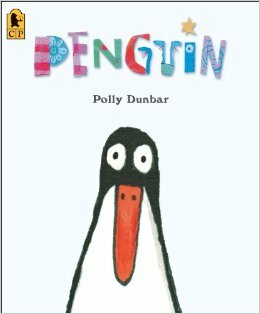 This entry was posted in Black Friday, Communication, Perfect Picture Book Friday, Picture Book Review, Thanksgiving and tagged Black Friday Sale, Communication, Paper plate penguin, Penguin, Perfect Picture Book Friday, Polly Dunbar, Show Me How! Build Your Child's Self-Esteem Through Reading, Susanna Leonard Hill by viviankirkfield. Bookmark the permalink. Cute story, Vivian and fabulous offer of your book too. And I hope people will talk up the sale price of Show Me How by tweets and FB…we are offering it for an unbelievable price right now…used copies are listed at $40 to over $100 a copy! I’m not sure, but from your review it looks like Penguin doesn’t actually speak with words but sends a heart shaped message to the boy. I think it’s important for children to understand that not everyone they meet can (due to choice or are ability) speak with words. The heart at the end, is lovely! Great observation, Juliana…I should have made that clear. :) Yes, Penguin does not ‘speak’…you are so right that we need to help children be understanding and accepting of those who are different. Your book is a terrific gift idea for parents, teachers, grandparents, and aunts/uncles! I love that cover!! And I can relate to the story for sure. I often have trouble understanding humans and communicating to them what I want or need. There are sooo many ways to communicate! I’ll have to look for this book. It sounds pretty special! I hope there is a yummy bone for you for Thanksgiving! I love Ben’s quirky solutions to his problem. This book is definitely worth looking for, especially during PiBoIdMo. Thank-you. I’m glad you loved the book…it has a great message delivered with simple text and bold illustrations. What a cute story, Vivian! It’s sure to please little ones. And your own book is a great resource! Sounds like a great story, I’ll have to check that out at the library. It reminds me of the Oliver Jeffers’ books with the little guy and the penguin (Lost And Found, and the sequel I forgot right now). Penguins make for cool characters in picture books. They do…I love penguins in books. Have a wonderful Thanksgiving with your boys, Milka! Thank you! Enjoy Thanksgiving with your family too! Great review! This sounds like an amazing book! Are you excited about Ms. Hill’s Holiday Writing Contest? I’m excited to see all of the entries! 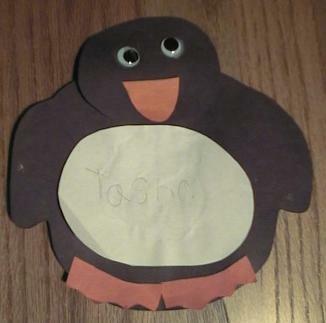 We love a good penguin book and craft. (We found one to review in a few weeks). I’ll look forward to seeing it, Stacy! What a cute book. It reminds me a bit of the Velveteen Rabbit, for some reason. Great offer on your book! It’s on Amazon or through you? Yes, I can see what you mean about the Velveteen Rabbit, Pat. This one has a great message about communication and accepting differences. I do love this story. Sweet craft activity. Good luck with the special sale! Your blog–and your talents, your caring about family, your wonderful recipes and your life–remind me so much of all my mother devoted her life to before the dementia took over. You are a positive, bright light and make such a difference. Please accept my nomination for you to have THE WORDPRESS FAMILY AWARD. Blogging is all about connections…connections are all about finding incredible people…and you and your mom are two of the most incredible people I have ever ‘met’. I love this cover! And every Polly Dunbar book I’ve read! Polly definitely has the touch! Glad you are a fan as well, Julie. I’m in charge of potatoes, all kinds. Lucky to be invited to join friends again! And you will be having your first in NH, do give us a full report! Yum…potatoes…I am a fan of ALL kinds!